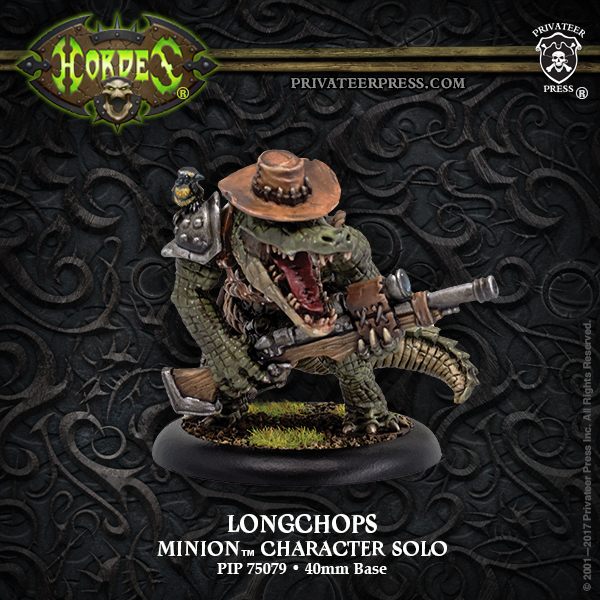 Privateer has been updating the front page of their website with their latest batches of releases to be coming out. 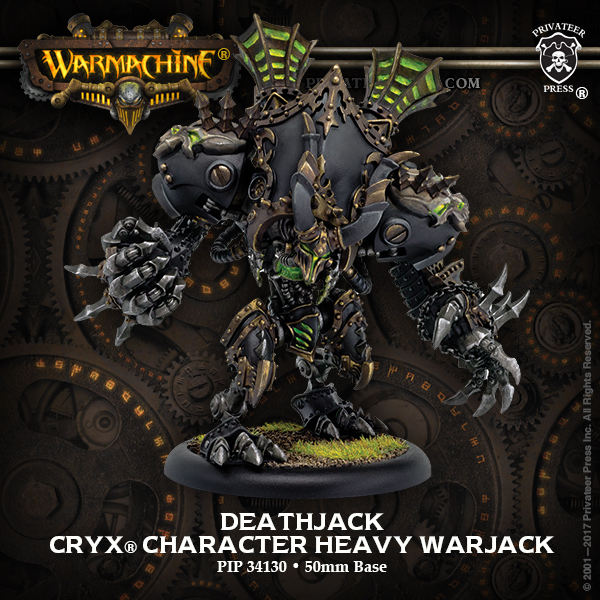 There's some more Blindwater goodness (I've got the CCR playing as I type this), along with some Cryx figures, including a new version of the Deathjack. Seems they've got a whole "dead things" vibe going on. 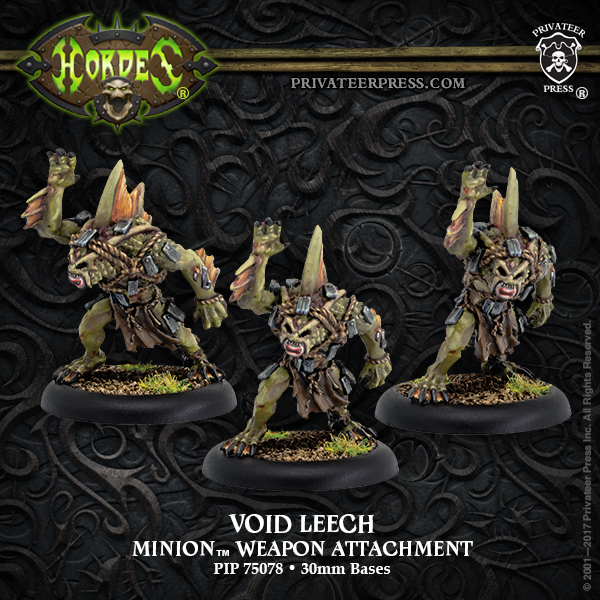 Crafted by a bokor from a bog trog that has displeased them, a void leech is a mindless servant to the gatormen, one covered in countless occult fetishes nailed through its flesh. A void leech creates a pocket of arcane static that enemy spells have difficulty piercing, and it can be forced to sacrifice its pitiful life force to unravel even potent lingering curses. 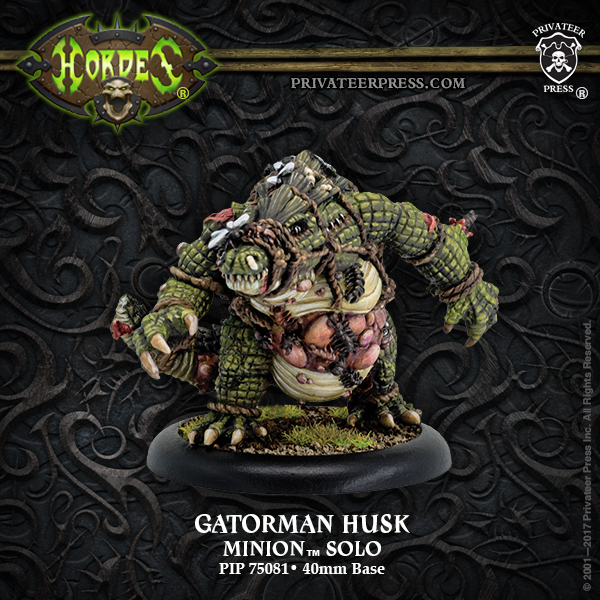 The disgusting and bloated bodies of gatorman husks are stuffed near to bursting with all manner of venomous insects, and each new generation adds to the swarm wriggling within to distend the body ever further. 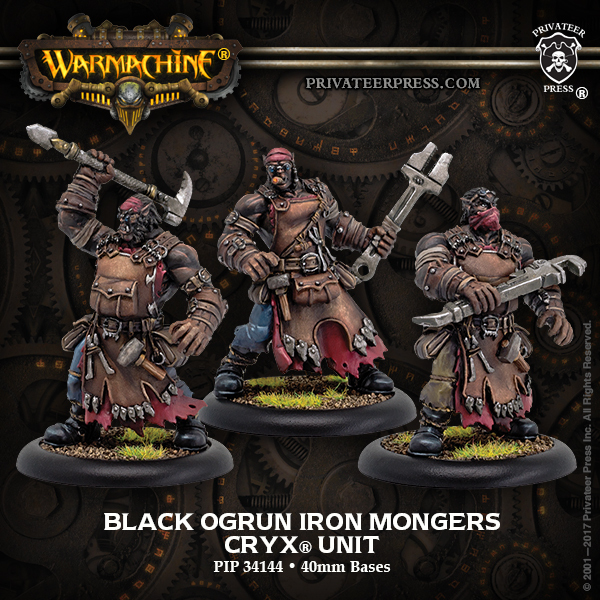 Bokors direct these undead carriers at their enemies, hoping that a bullet or blade will puncture the husk’s swollen flesh. Even a small rupture causes the husk to burst into a grotesque, stinging cloud of swamp flies and worse that sows panic and disease among the enemy’s ranks. 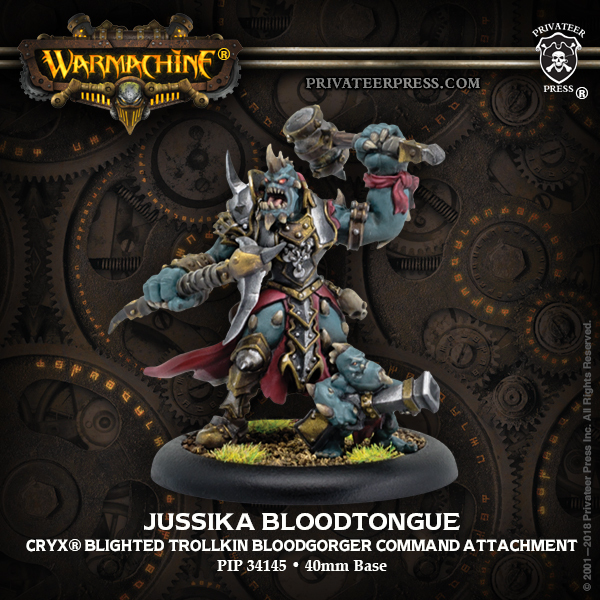 Blood priestesses preserve the ancient traditions of Satyxis blood magic, worshipping the very act of bloodletting itself. Able to harness the arcane force of spilled vitality, these priestesses perform sacred rituals of primal power that predate Toruk's reign. 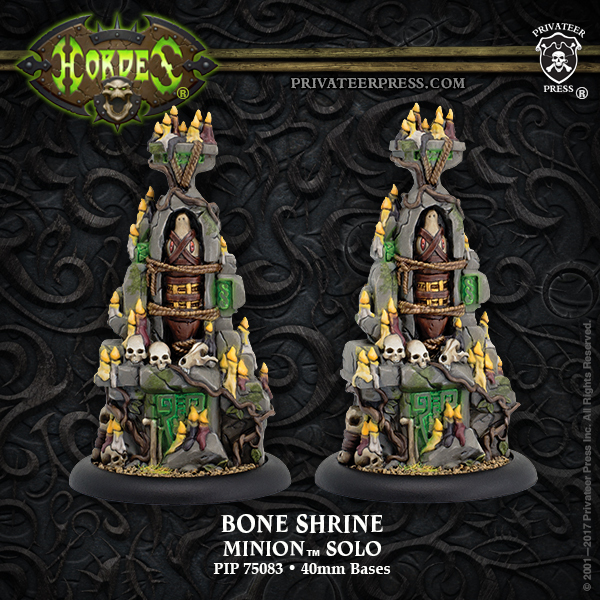 Wetting their sacral blades in the blood of their fresh victims they evoke potent spells and safeguard the lives of those they deem worthy, including such preeminent figures as the Queen of the Broken Coast. Striking without warning, the savage and cruel Satyxis are the terror of the Broken Coast. Belonging to an ancient tradition in which sailing is as natural as breathing, these fierce warrior women believe nothing in life to be sweeter than plunder and slaughter. 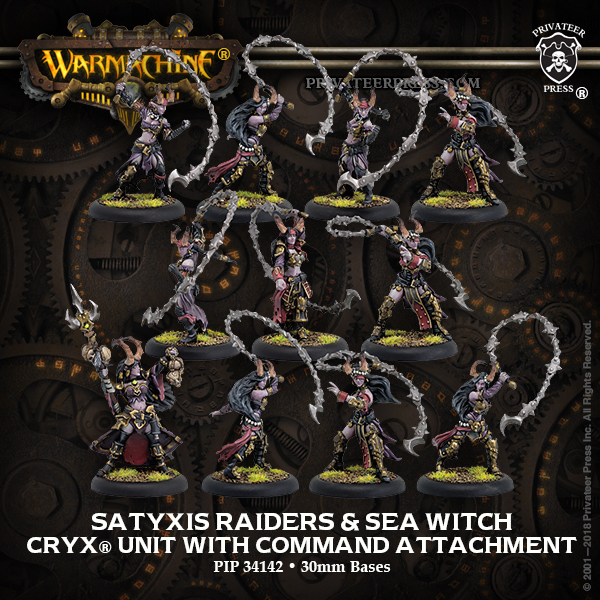 The Satyxis savage their victims with the tearing barbs of their enchanted lacerators or break their bones with smashing blows of their twisted horns. For more than 200 years, the necromechanikal horror called the Deathjack has haunted the wilds of western Immoren. Striking without warning, this infernal machine voraciously devours souls and leaves nothing but death and destruction in its wake.